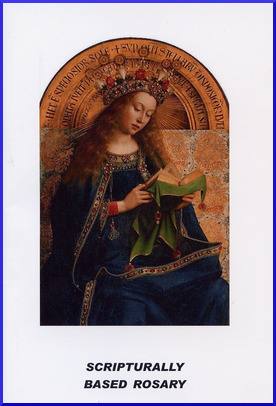 Our new edition of the Scripturally Based Rosary is in glossy color, with beautiful color art and the Luminous Mysteries added. Each Mystery carries a brief Scriptural passage or idea for meditation. Our previous edition was one of our best sellers, and we're sure that this edition will be well received. This catalog item is for a pack of five. Save $2.50!